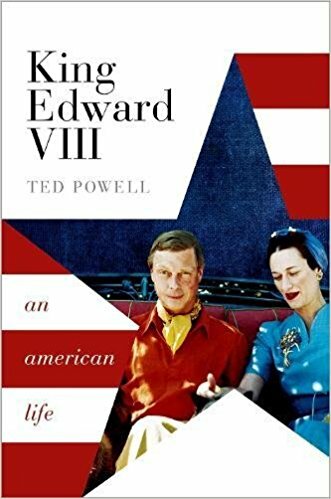 Join us for an evening with historian Ted Powell as he discusses his new book ‘King Edward VIII: An American Life’. Before he fell in love with Wallis Simpson, Edward VIII had fallen in love with America. As a young Prince of Wales, Edward witnessed the birth of the American century at the end of the First World War and, captivated by the energy, confidence, and raw power of the USA as it strode onto the world stage, he paid a number of subsequent visits: surfing in Hawaii; dancing with an American shop-girl in Panama; and partying with the cream of New York society on Long Island. Eventually, of course, he fell violently in love with Wallis, a Southern belle and latter-day Scarlett O’Hara. Forceful, irreverent, and sassy, she embodied everything that Edward admired about modern America. But Edward’s fascination with America was not unreciprocated. America was equally fascinated by the Prince, especially his love life, and he became an international media celebrity through newsreels, radio, and the press. Indeed, even in the decades after his abdication in 1936, Edward remained a celebrity in the US and a regular guest of Presidents and the elite of American society. Tickets for this event are £5 each and are available in store or over the phone on 01799 524 552.